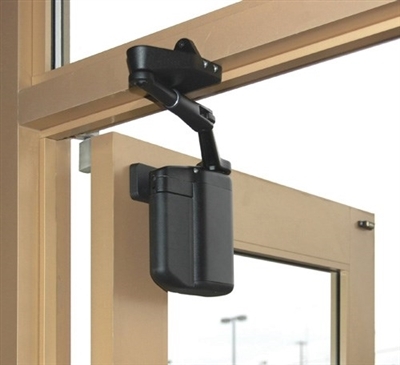 The Norton 5800 Series ADAEZ Low Energy Power Door Opener, is a handicap door opener unlike before. This unique design features a regenerative power system. 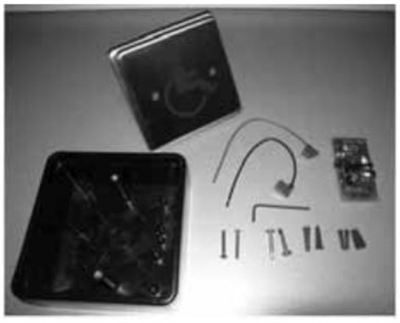 Each Norton 5800 Series ADAEZ Low Energy Power Door Opener contains an onboard battery pack. When pedestrians manually open the door, the Norton 5800 ADAEZ Low Energy Power Door Opener will charge the battery pack. If the Norton 5800 ADAEZ Low Energy Power Door Opener is used 25% of the time automatically or less, the remaining 75% of the manual usage will charge the battery pack for up to 12 years. This makes the Norton 5800 ADAEZ Low Energy Power Door Opener the ultimate energy savings handicap door opener on the market today. But there is much more to the Norton 5800 ADAEZ Low Energy Power Door Opener then just energy savings. With the built in battery pack, this eliminates the hassle of utilizing an electrician to wire in the door opener. It allows the Norton 5800 ADAEZ Low Energy Power Door Opener to be completely stand-alone, making installation extremely easy. And if you are concerned that the door opener will be used automatically more than 25% of the time, there is also hard wired kit, which comes with power cord allowing you to plug it into a wall socket, so the battery will always be fully charged. At Automatic Door and Hardware we are the experts when it comes to handicap door openers. Now you can purchase the Norton 5800 ADAEZ Low Energy Power Door Opener at wholesale prices. Some of our most popular Norton 5800 ADA EZ Low Energy Power Door Openers include the Norton 5800 Series ADAEZ Pro Complete Operators, Norton 5800 Series ADAEZ Pro Elite Operators, Norton 5800 Series ADAEZ Pro Operators, and Norton 5800 Series ADA EZ Pro Plus Operators. Automatic Door and Hardware has the Norton 5800 Series ADAEZ Low Energy Power Door Opener you need to automate your commercial door. So order yours today and we will ship it right to your location.